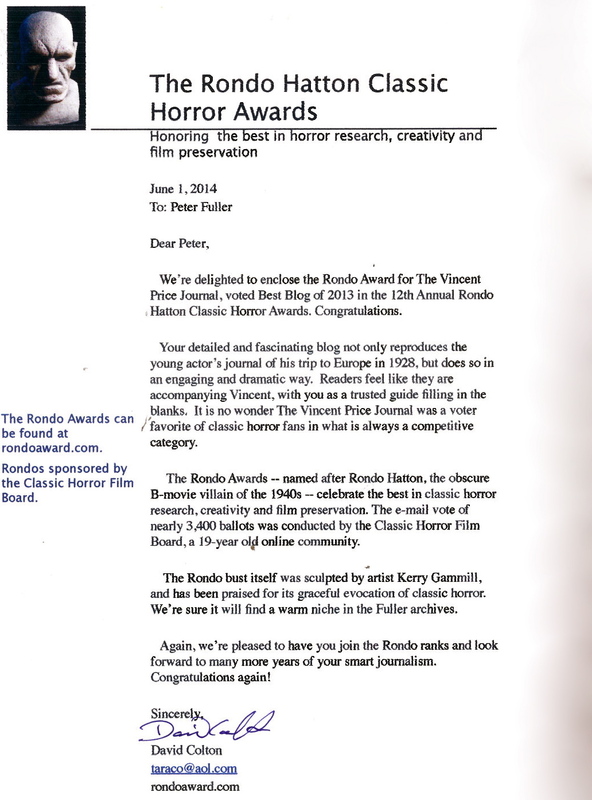 Thanks to your support The Vincent Price Journal: My First Trip Abroad won Best Blog 2013 at the 12th Annual Rondo Hatton Classic Horror Awards on 12 May 2014. Regarded as the Oscars of the horror community, this is a huge honour and a real testament to fans like myself wanting to preserve the legacy of Vincent Price online. The Rondo Hatton Classic Horror Awards are given out each year in a wide variety of categories, from Film and TV Presentation to Fan Event and Favorite Horror Host. 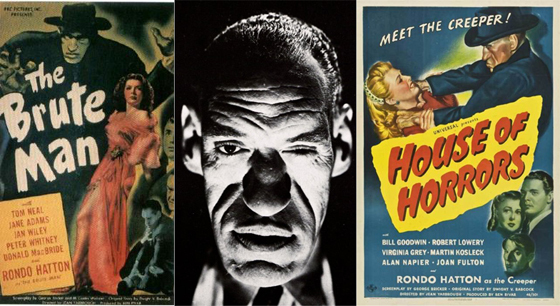 The awards are named for Rondo Hatton, a prolific actor whose distinct facial features (a result of acromegaly) made him a mainstay in several B-grade horror films in the 1930s and 1940s. As such, the trophies given out at the ceremony resemble the actor’s portrayal of The Creeper from 1946’s House of Horrors. IIf you this is your first visit to the blog, then this is where your journey back to 1928 begins… (click here to start the adventure).